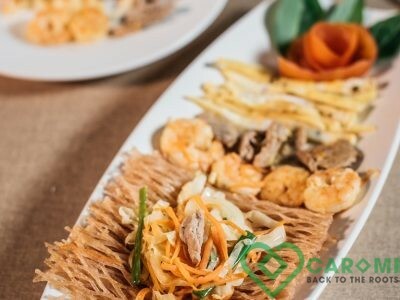 Caromi – The special gluten free noodle for you! Cassava plants are cultivated with very little fertilizer but absolute no pesticides and growth drugs. Therefore the plants absorb a lots of precious nutrients & store them in their ROOTS. We made some tests with cassava noodles, and the results show an amazing amount of iron, calcium, potassium, fiber and energy within. 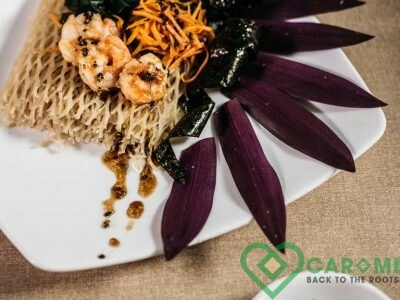 Caromi, the name given to cassava noodles in a grid pattern, are made from fresh cassava roots through several manual processes. The roots require peeling, washing, grinding, and dipping over 2 days & 2 nights. 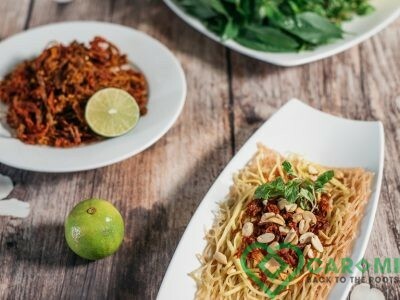 They are then cooked using firewood before finely beating, spinning and drying under the glorious sunshine of Central Vietnam. All of this aims to create the most DELICIOUS and HEALTHY food for us! Why is Caromi the best choice for you? What will happen to the body if we only eat instant noodles? Sensible vegan: Foods you need to know!